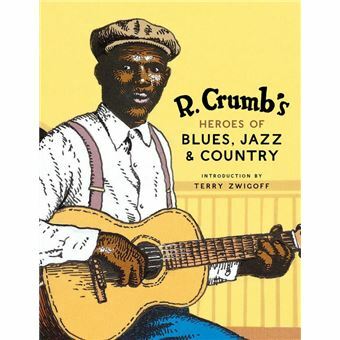 Anyone who knows R. Crumb’s work as an illustrator knows of his passion for music. And all those who collect his work prize the Heroes of the Blues, Early Jazz Greats, and Pioneers of Country Music trading card sets he created in the early to- mid-1980s. Now they are packaged together for the first time in book form, along with an exclusive 21-track CD of music selected and compiled by Crumb himself (featuring original recordings by Charley Patton, “Dock? Boggs, “Jelly Roll? Morton, and others). A bio of each musician is provided, along with a full-color original illustration by the cartoonist. A characteristically idiosyncratic tribute by an underground icon to the musical innovators who helped inspire him, R. Crumb’s Heroes of Blues, Jazz & Country is a must-have collection for Crumb aficionados, comics fans, and music lovers alike.